Indians Baseball Cards: 2013 Tribecards from Outer Space Mail Call!! Be on the lookout! 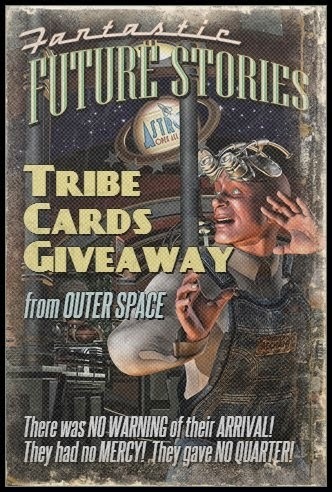 2013 Tribecards from Outer Space Mail Call!! Be on the lookout! Hey everyone! I was able to mail off a bunch of the INITIAL 2013 Tribecards from Outer Space packages today - FINALLY!! Yes, you read that correctly: LAST season's cards are finally making their way into the USPS delivery system! If your name is *NOT* listed, then your packages should go out later this week. The packages are "INITIAL" - meaning that they fit into the boxes/bubbleopes I have. Large-format items, bonus items, etc will be sent at a later date. I had a third thing, but it left my head when i started thinking about large cards and bonus items. Well, dang. Thanks! Can;t wait to check em out! WOO-HOO!!!! Finally getting my Mantle rookie! Er, actually, yours were mailed out on Monday. I missed it on the list because the USPS receipt didn't list the ZIP code, but I had you marked off my other list!